Turn your home into a palace with the Renaissance Throw Pillow. 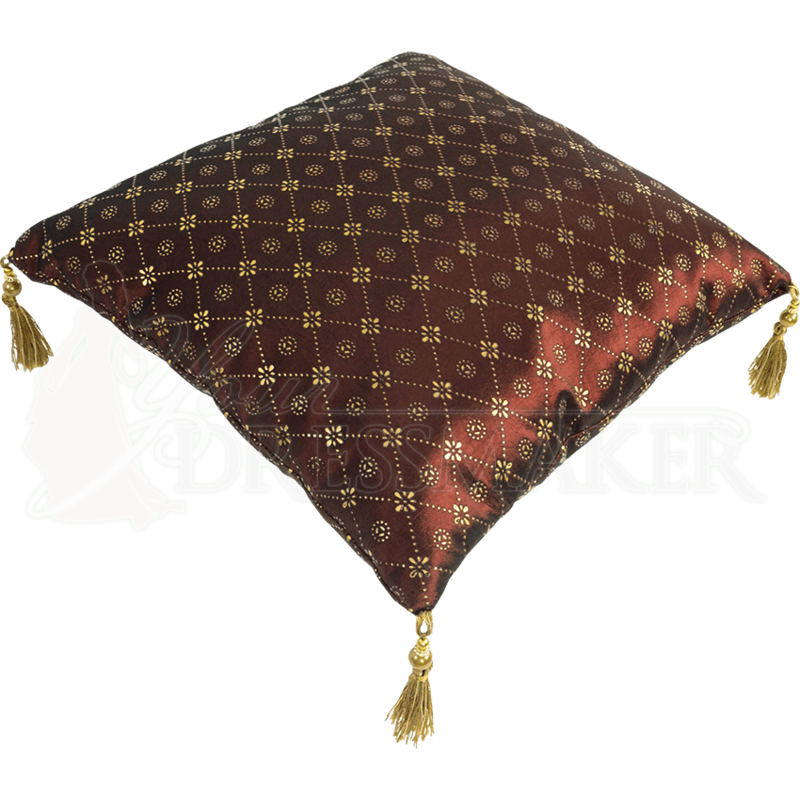 Made of smooth and shiny copper taffeta with a golden crisscross pattern throughout, this square medieval pillow makes the perfect accent for any decor or display. Each of the four corners has a beaded golden tassel, adding lux and regal charm to the decorative pillow. The inside is stuffed with poly fiber. Accent a couch, bed, or chair with this charming Renaissance cushion, or use it as part of a themed display or reenactment setting.